California's Employment Development Department has since 1991 collected monthly data from agricultural employers on employment and earnings of non-supervisory production workers. Average hourly earnings are reported by commodity and region. This figure ranks hourly earnings in 2004, and shows that earnings rose fastest between 2002 and 2003-04 in the highest-wage commodities, such as custom harvesting (postharvest activities), diary and livestock, and greenhouse and nursery production. 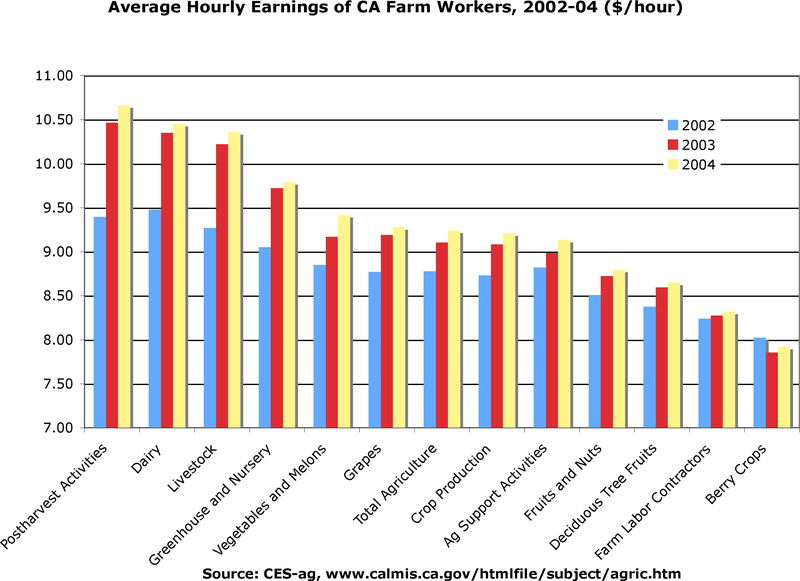 Earnings were flat for workers employed by farm labor contractors and in berry crops.